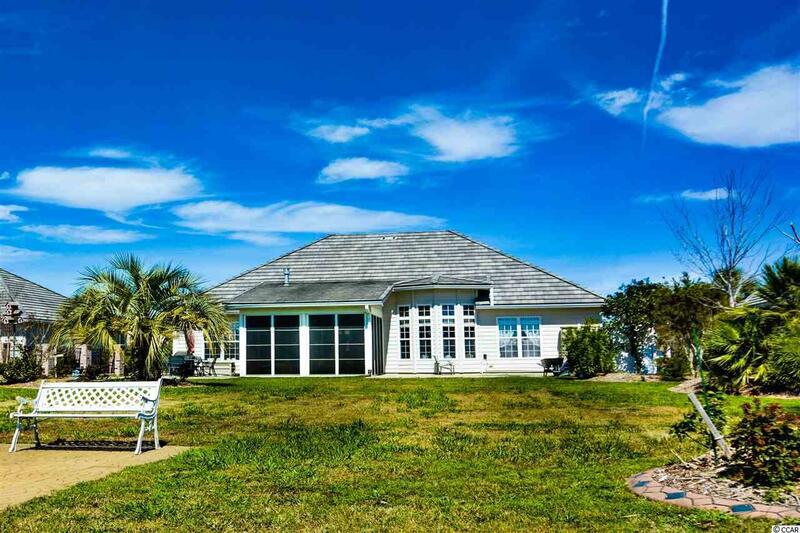 919 Anson Ct., Surfside Beach, SC 29575 (MLS #1906078) :: Garden City Realty, Inc.
Beach life is calling grab your flip flops and head to Surfside Beach Club an ideal community for those who love living near the ocean but, crave the charm of a family - friendly community. 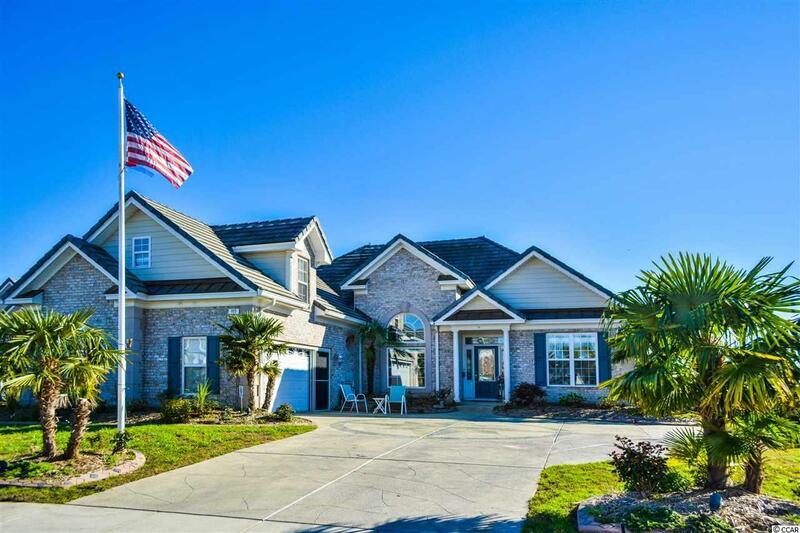 Once inside the gates of Surfside Beach Club you will find mature trees , 13 large lakes and sidewalk lined streets that lead you to the stately home of 919 Anson Ct. You'll take instant notice the moment you pull up to the beautiful driveway and see the custom nautical star to let you know you're home ! The side loading garage is oversized and the landscaping boasts mature palms, new fencing , custom curb landscaping , lush flower beds and in-ground lighting frames the walk ways. 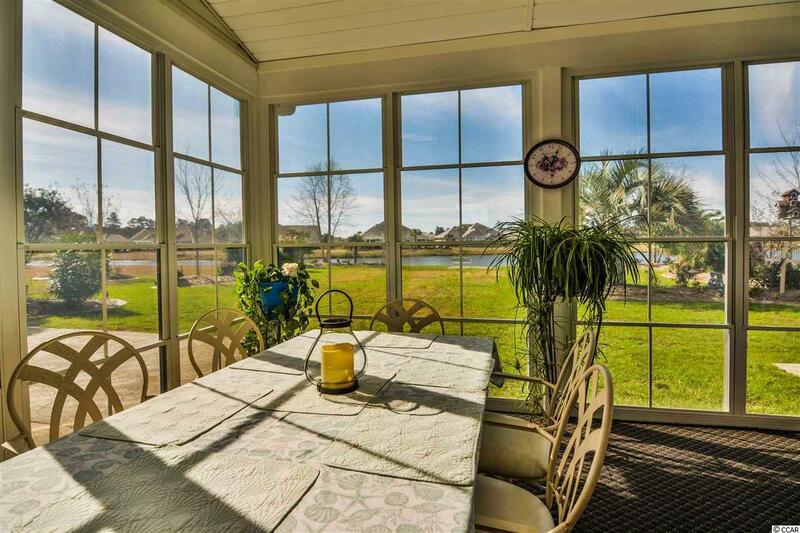 As you enter the home natural light surrounds you and you'll be taken back by the expansive lake view through out the home . 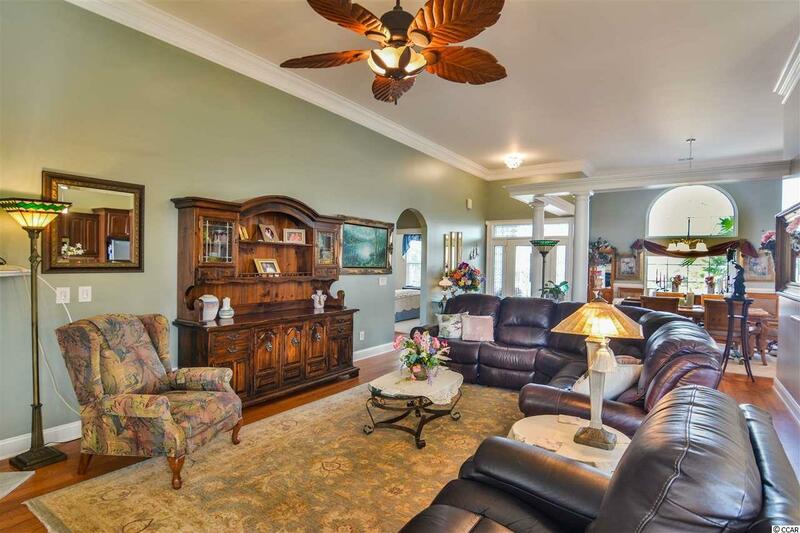 No detail has been missed by the owners of this pristine 4 bedroom 2 bath luxury home. Upgrades adorn every room in this home such as ; crown molding in ever room , over sized base boards , marble window sills , rich wood flooring , gas fireplace , gourmet kitchen , breakfast bar and nook , sprawling quartz counter tops , top of the line stainless steel appliances , under cabinet lighting , a beautiful 4 seasons room , and so much more. The first floor master bedroom has a breath taking lake view through out and a sitting area that is the perfect place to unwind and relax after a long beach day . If you seek more relaxation head into the large master en- suite where you'll find a large marble walk - in shower and garden tub , double vanity and lots of storage. Every space has been carefully planned in this elegant home and has been kept up to an impeccable standard . Enjoy the life you've always wanted to live in Surfside Beach Club amidst 200 acres of beautiful coastal living and less than two miles to the Atlantic Ocean. Owners also enjoy the amenities and social club that cater to active life styles. The community club house offers such amenities as a fitness center , outdoor pool , hot tub , card room , club house with kitchen and an area for gatherings ! Surfside Beach is a short ride to downtown Myrtle Beach , Surfside Beach fishing pier , Murrells Inlet Marshwalk , Myrtle Beach International Airport , Tanger Outlets , boating , fishing , local hospital and medical centers .